VATICAN CITY | Pope Francis has called for all the presidents of the Catholic bishops’ conferences of the world to meet at the Vatican in February to discuss the issue of sexual abuse of minors. On the topic of sexual abuse, the pope also was scheduled to meet Sept. 13 with representatives of the U.S. bishops: Cardinal Daniel DiNardo, president of the U.S. Conference of Catholic Bishops, Archbishop Jose Gomez, conference vice-president, and Msgr. Brian Bransfield, general secretary. Also in attendance will be Cardinal Sean O’Malley, archbishop of Boston and president of the Pontifical Commission for the Protection of Minors. 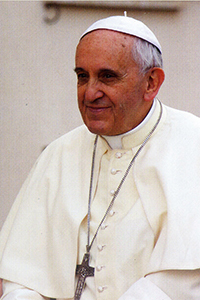 Cardinal DiNardo first called for a meeting with Pope Francis in mid-August. In an Aug. 16 statement, he said he would present to the Holy See a USCCB plan to address the “moral catastrophe” of sexual abuse. That plan calls for a Vatican investigation into “questions surrounding Archbishop McCarrick,” new avenues for reporting misconduct, and new procedures to address complaints against bishops. More than a week later, on Aug. 27, DiNardo reiterated that he was “eager for a meeting” with Francis. “I am confident Pope Francis shares our desire for greater effectiveness and transparency in the matter of disciplining bishops,” DiNardo said at that time. The meeting might also discuss the Vatican’s plans for a canonical process to judge allegations that Archbishop Theodore McCarrick serially sexually abused a teenage boy in the 1970s. On Aug. 1, DiNardo wrote that “Archbishop McCarrick will rightly face the judgment of a canonical process at the Holy See regarding the allegations against him” but no such process has been announced yet.